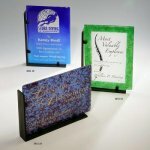 These hand made 100% recycled glass awards feature a scrap metal recycled base making the entire award an artistic interpretation of reprocessing. 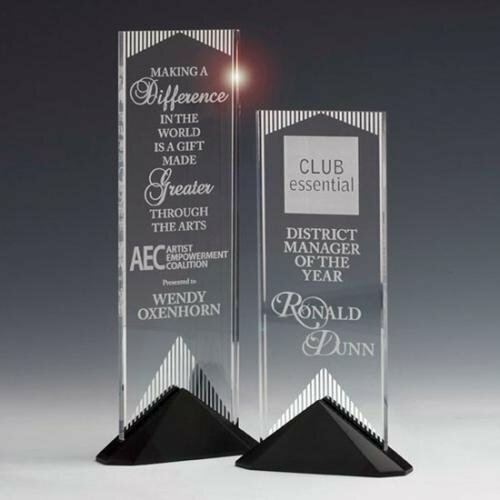 Awards can be displayed either horizontal or vertical. 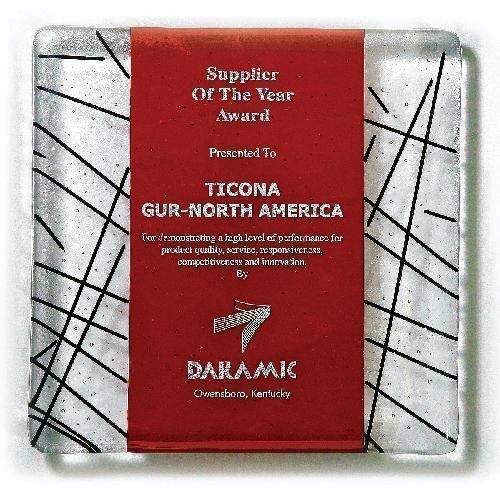 All art glass is hand made and no two parts are exactly alike. Bubbles and small defects are a natural part of art glass. 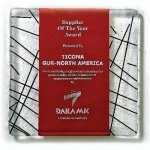 Drama is fused with art glass in this amazing collection of art for the wall. A red center is accented with clear and black stringer glass and an added wall hanger. 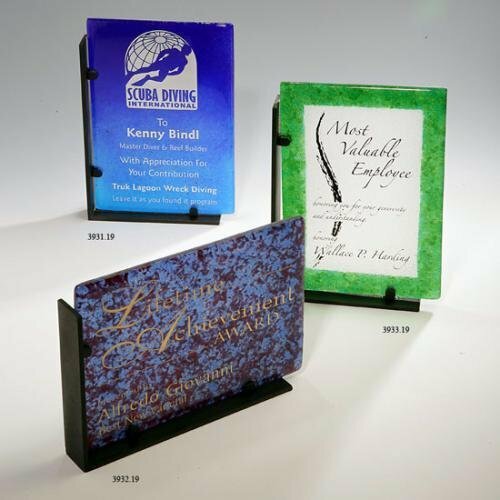 Easy to laser engrave. 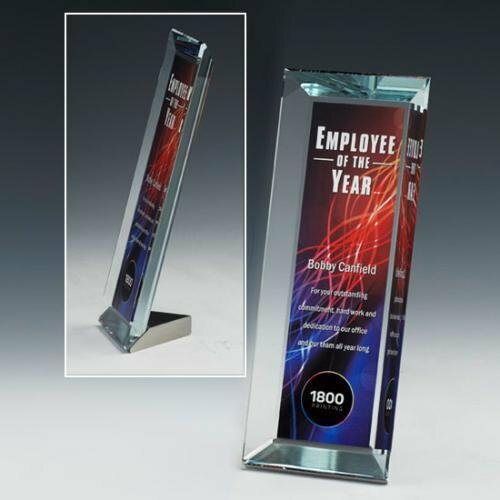 4 3/4" x 7 1/2"
5 1/2" x 9 1/4"
The Reflections award features a sparkling mirror design screened in vertical strips on the back of the acrylic panel. The mirror catches the light and flashes brilliance through a room. Reflect your achievement in the best light with this innovative acrylic mounted into an ebony finished Stonecast(TM) base. 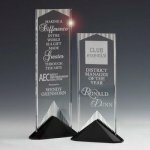 This award with a modern aluminum base comes standard with a deep etch imprint or combine with SpectraPrint for a vibrant full color imprint that will give your crystal a rich and compelling look.